I’m pretty fond of radishes. I’m not going to suggest that I’d be lost without them, but I do enjoy their texture and flavour (as well as their happy, blushing colour), and usually keep a bunch of them in my fridge. I most often slice them thinly and add them to sandwiches and salads, where they add both crunch and a pleasant, mild peppery taste. I also enjoy snacking on them, and was recently looking for a recipe suitable to share with others (as an hors d’oeuvres), when I found the fabulous – clearly obsessed and slightly bonkers – Love Radish website. It includes historical information and details about the health benefits of radishes, as well as recipes for cocktails (the Radish Bloody Mary sounds great), ‘detox’ juices and the perfect drink pairings (including cider, sparkling wine, beer, and a fruity pinot noir) for some of their inventive suggestions for preparing, cooking and eating radishes. For more information (and how could you resist? ), have a look yourself. And in the meantime enjoy these selected highlights, as well as the recipe below. Cut the avocado in half and remove the stone. Scoop out the flesh, place in a small bowl and lightly mash with a fork. Stir in the lemon juice and olive oil. Season with salt and freshly ground black pepper. 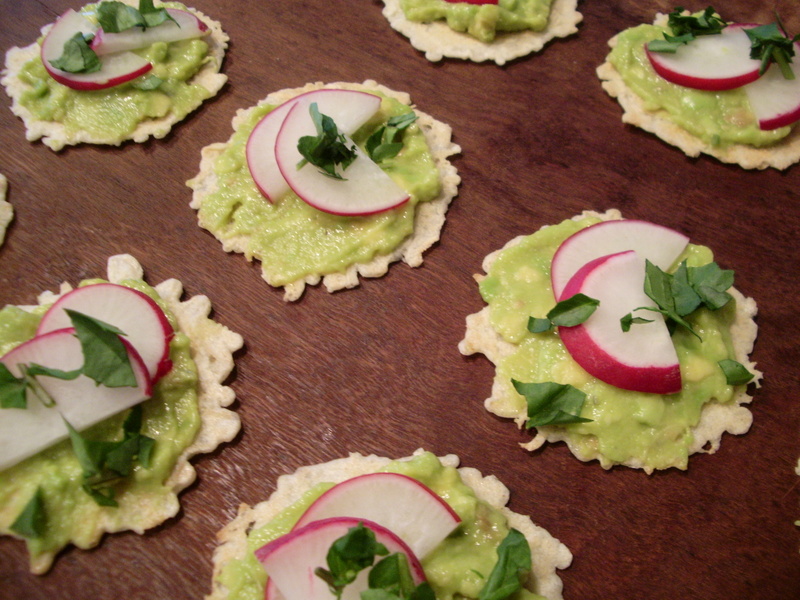 Spread some of the avocado mix onto a cracker then top with 1-2 radish slices, some red onion and watercress leaves. Serve immediately (this is important as the relatively wet avocado mixture will start to make the crackers soggy if they’re left to hang around). Instead of crackers, the original recipe uses thin slices of sourdough bread that have been drizzled in olive oil and placed on a non-stick baking tray in a pre-heated oven (180°C / 350°F / Gas Mark 4) for 8-10 minutes, until toasted and crispy. They should be removed from the oven and left to cool for 5 minutes before topped with the avocado mix. 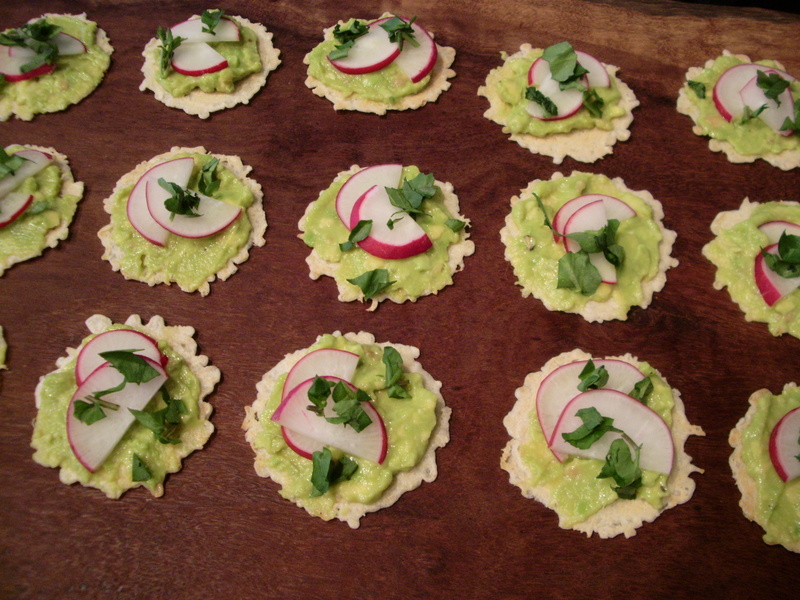 This entry was posted in Food, Nutrition, Recipes, Starter and tagged avocado, crackers, easy, Love Radish, Night of the Radishes, Noche de Rabanos, radish, snacking, watercress. Bookmark the permalink. Great post and lovely pictures. Perhaps I can no acquire a taste for radishes. Cheers. Those look so good and beautiful. So easy to make too! Thank you! Yes, incredibly easy – and quick – to make. 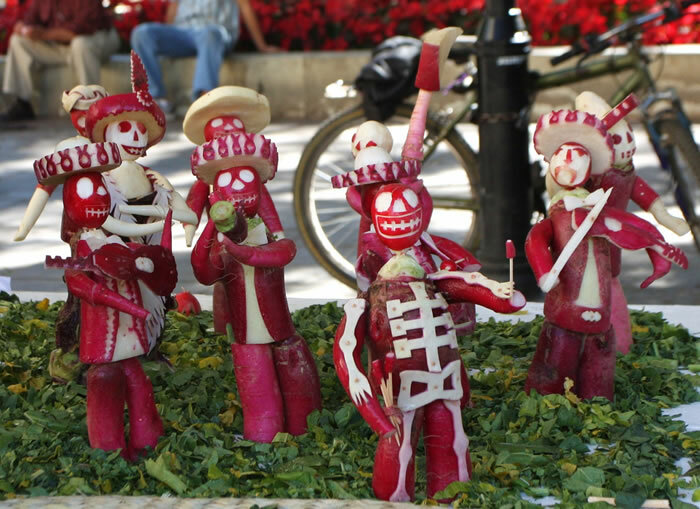 That picture of food art with radishes is a hoot. 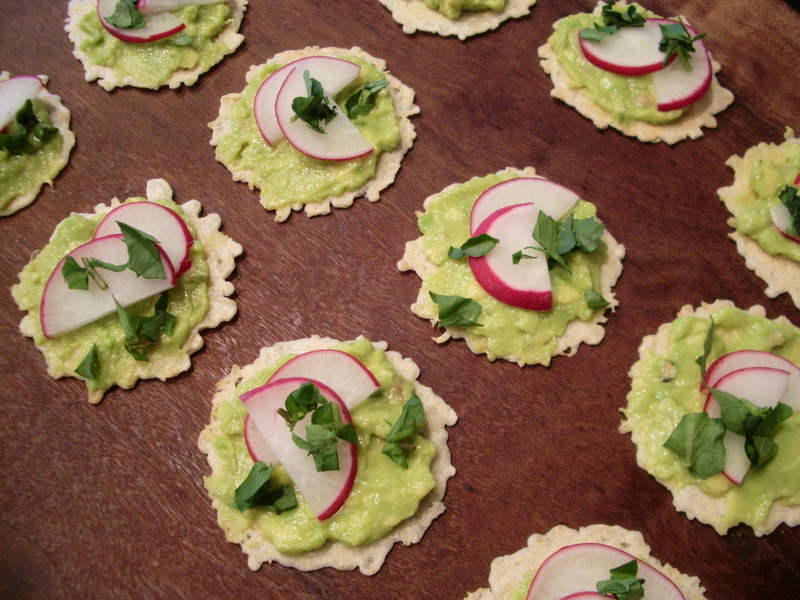 Lovely simple spring inspired appetizer recipe. Thank you. It looks like a really fun festival – and the sculptures are surprisingly large! Never thought of doing that to radish, will give it a try one of these days. It’s a great recipe – and so simple. Definitely worth trying! great post. i love radishes too. i love them sauteed or roasted as well. can’t wait to try this recipe. seems perfect for those hot summer afternoons that will be here before we know it. Thank you. I’m definitely going to experiment a bit more with them now that I’ve found the delightful ‘Love Radish’ website, and that will definitely include cooking with them. And I really hope that you enjoy these if you try them. I love these. The combination of avocado and radish seems perfect – for taste and color. And what a delightful appetizer….